What is the Ward 1 Networking Group? The Ward 1 Non-Profit Networking Group is a way to gather, network, and bring in any service providing non-profits in the Ward 1 area. Non-profits can be headquartered in or providing services to clients in Ward 1. Ward 1 nonprofits meet quarterly and collaborate on different projects in subcommittees in order to support each other and the constituents we all serve. 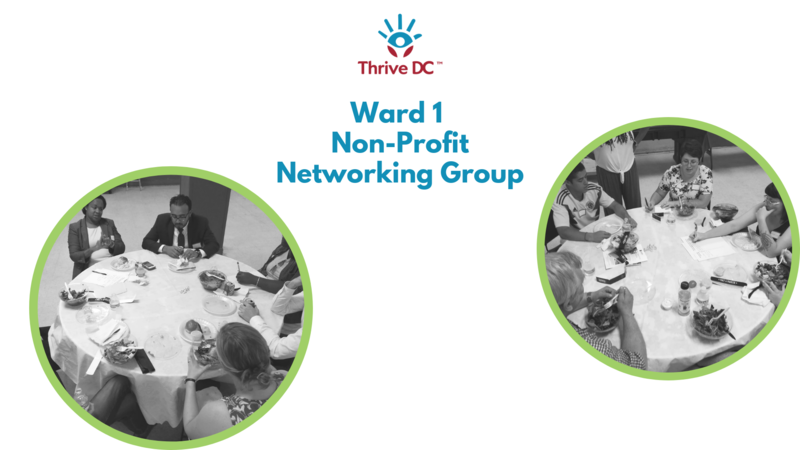 If you are a Ward 1 nonprofit, contact Thrive DC’s Development Manager, Kira Lanier, at [email protected] to join or get more information on the Ward 1 Nonprofit Networking Group.